Today is the day! I finally get to talk to you about a project I’ve been working on for a while now… I’m delighted to announce ‘French Food Fair On The Square’ in conjunction with Merrion Square Innovation Network and kindly supported by the awesome people at Irish Village Markets. 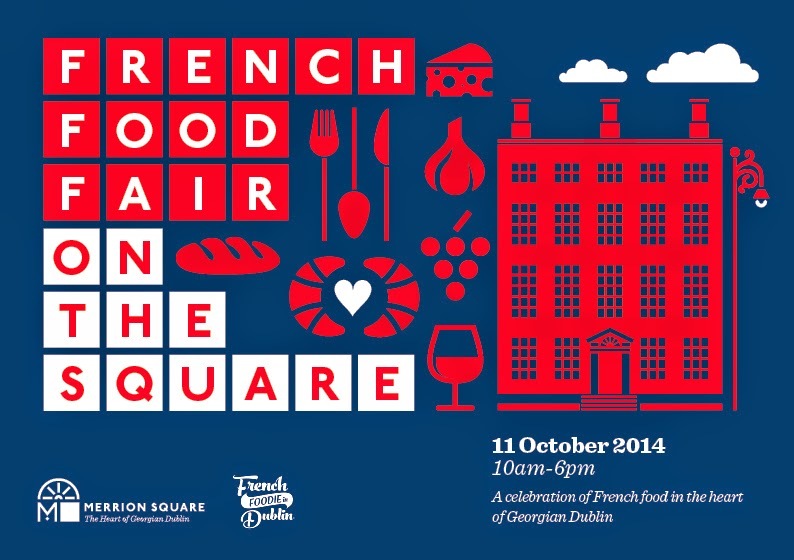 'French Food Fair on The Square' will take place on Saturday 11th of October from 10 am to 6pm at the Royal Society of Antiquaries of Ireland, no. 63 Merrion Square Dublin 2. In this beautiful Georgian building the best Irish-based French food producers will be there to give you a taste of France right in the heart of Dublin. You will be able to stock up on on French treats such as breads, macarons, chocolates, cheese, charcuterie and many other products. Clémentine Agron from Cocoa Atelier talks about the origin of chocolate, chocolateries in France, Cocoa Atelier's chocolates & history, followed by a guided tasting (max 20 people, arrive early!). Thibault Peigne (Baker and Owner of Tartine Bakery) talks about sourdough bread making and the importance of fermentation. This is family-friendly event, Polka Swan Face Painter (12.30pm-4pm) and jugglers will be there on the day to entertain the little ones! There is also a playground in Merrion Square Park.